Bohemia is an unspoilt and highly picturesque region situated 90 km north of Prague. This two-centre self-guided walking holiday will take you through intriguing rock ‘labyrinths’, with marvellous view-points, unspoilt countryside and evocative castles and towns. Bohemia is an unspoilt and highly picturesque region situated 90 km north of Prague. This two-centre self-guided walking holiday will take you through intriguing rock ‘labyrinths’, with marvellous view-points, unspoilt countryside and evocative castles and towns. The length of the walks is between 12 and 23 km. along well-marked paths and which avoid roads altogether. At the end of each day, comfortable hotels and satisfying food. £530 per person based on two people sharing. Arrival at Turnov for overnight. Basic route: Turnov – Hlavatice – Valecov – Rock Town – Hrubá Skála – Sedmihorky – Angr’s trail – Valecov – Turnov, 15 km. A comfortable walk with only one gentle climb to Hlavatice viewpoint and some steps between the rocks on Angr’s trail. Route can be lengthened or shortened. Hrubá Skála Rock Town is one of the most charming areas of Bohemia, consisting of a beautiful sandstone labyrinth of over 400 stone towers and boulders looming up to 380 metres. Basic route: Turnov – Dolánky – Drábovna – Frýdštejn – Vranov – Malá Skála – Zbirohy – Rohliny – Turnov, 21 km. The walk is gentle terrain through fields and forest and can be lengthened if required. To shorten the route, a train is available from Malá Skála, 12 km. Today’s walk takes you via Dlask´s Farm, a typical example of the local folk architecture, a romantic ruin of a rock castle, with beautiful views at Frýdštejn, a wooden timbered house with interesting painting gallery at Malá Skála, a village guarded by an attractive massif of Suché Rocks. At Zbirohy, the ruin of a gothic castle. From Turnov to Malá Skála by train.Basic route: Malá Skála – Chlévište – Besedice – Koberovy – Fialník – Klokocí – Rotštejn – Klokocské skály – Betlémské skály – Zdencina skála – Turnov, 19 km. The walk rises a little from Malá Skála and then leads along the rock labyrinth of Chlévište to Besedice. Back to Turnov following marked field and forest paths. Fine views along the valley and the Jizera river, with fascinating rock formations. From Turnov to Ktová by train. Basic route: Ktová – Trosky – Vidlák – Vežák – Libošovice – Kost – Neprívec – Sobotka, 20 km. To Jicín by bus. Luggage transfer arranged to Sobotka. 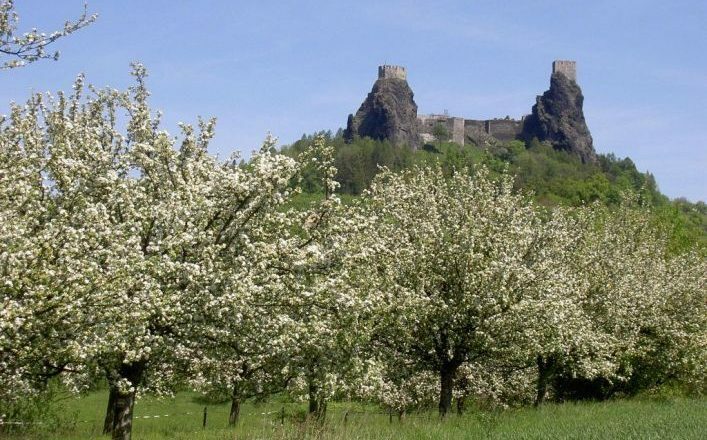 First climb to the huge ruined castle of Trosky, a symbol of the area, then down to the Podtrosecká valleys, a picturesque area of lakes, sandstone rocks and pine forests and one of the best preserved Gothic castles in the country. Finally a gentle entry to Sobotka, guarded by a baroque hunting castle at Humprecht. From Jicín to Prachov by bus. Basic route: in Prachov Rocks – U Pelíška – Ervínuvhrad – Šikmá vež – Prachov – Prevýšenina – Brada – Kbelnice – Jicín, 18 km. It is possible to shorten or lengthen the route. Easy walking in the ‘rock town’. Then climb to outcrops from where there are fine viewpoints and then a comfortable walk back to Jicín. 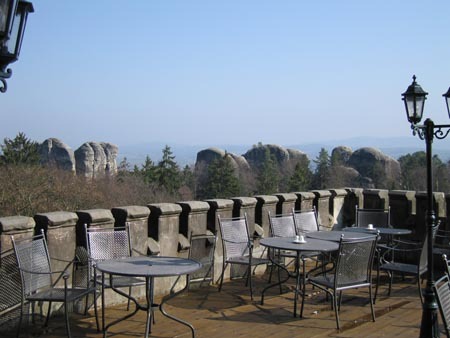 Prachov Rocks is the best-known rock town in Bohemia. A number of remarkable geomorphologic formations – bizarrely-shaped rock towers, pillars, columns, blocks, overhangs and cavities. Many view points. A lot of marked paths with magical view points lead through the most beautiful parts of this area. In Jicín visit the historical centre and the castle museum. Also worth climbing to the top of the Valdice gate, from where is a magnificent view of the surrounding area. Departure from Jicín to Prague. Luggage transfer, Emergency phone contact with local English speaker, Detailed description of route in English, Printed ‘Bohemian Paradise’ guide book in English. By air to Prague airport. Numerous budget airlines fly to Prague such as Easyjet, Ryanair and Jet2. 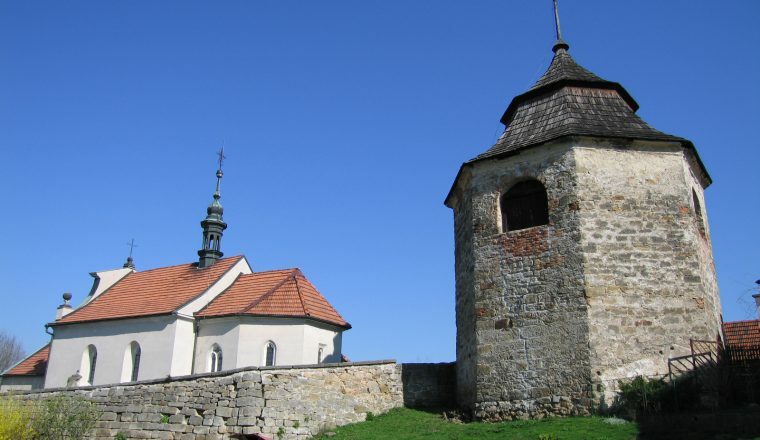 The starting point is Turnov and is accessible by bus or train from Prague, approx. a 3 hr journey. To get back to Prague from Jicin at the end of the trip there are bus or train options. The hotel is only a 10-15 minute walk away from the train station. There are frequent shuttle buses from Prague to the airport.